This year, Duck Brand® sent me a couple of their new products to try out. 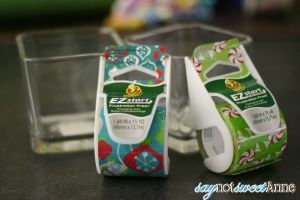 I was super excited when I opened the box and saw the super cute holiday patterns that the EZ Start Printed Packaging Tape came in. I knew almost immediately what I was going to make with them! So technically I guess packaging tape is meant for packages. 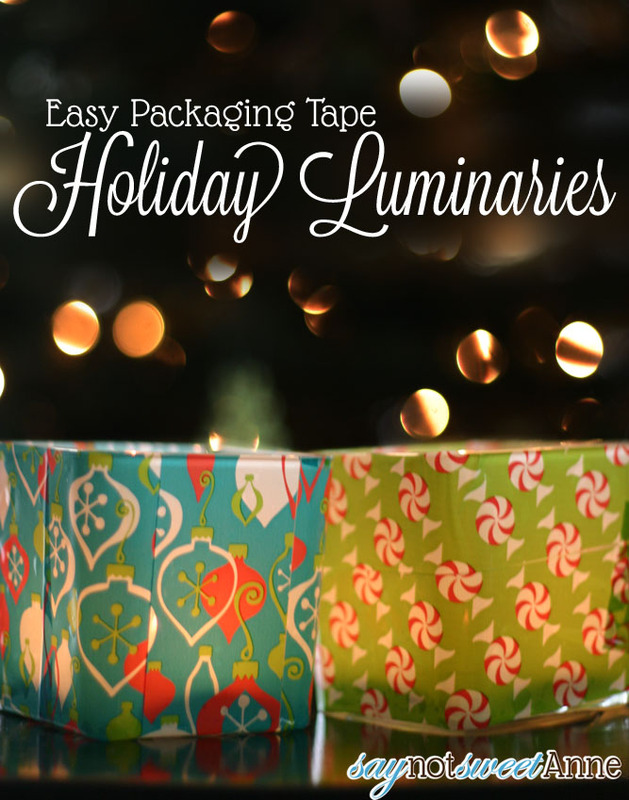 And I do think that these pretty patterned tapes would look lovely on any gift boxes, or shipping boxes you send this holiday season. But for me, there was one key thing that set the EZ Start® Printed Packaging Tape from some of the other Duck Brand® products I've used: Its translucent. So, I hopped over to the dollar store and picked up two square glass votive holders and went to town! Prep your glass surface with rubbing alcohol to make sure the tape sticks. Cover the votive in the tape. Its easy to line everything up, since the tape is pretty repositionable on the glass. 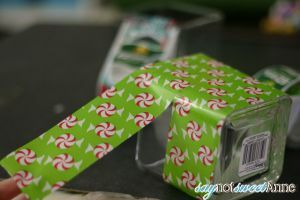 For a look like wrapped presents, add some ribbon or bows. Place a candle inside and watch them glow! Be sure to check out @DuckBrand on twitter for more neat craft ideas. 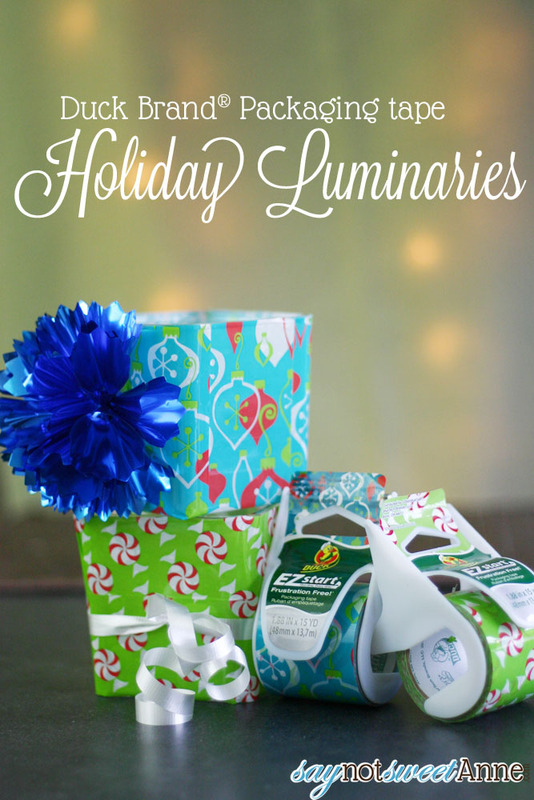 And if you make a luminary – or any printed packaging tape project, Pin it with the #EZStart hashtag so I can see! I really could see SO MANY ideas with this stuff!